Can’t leave well enough alone. Lots o’ bead caps for hollows. Can’t leave well enough alone. Lots o’ bead caps for hollows., a photo by wandering spirit designs on Flickr. 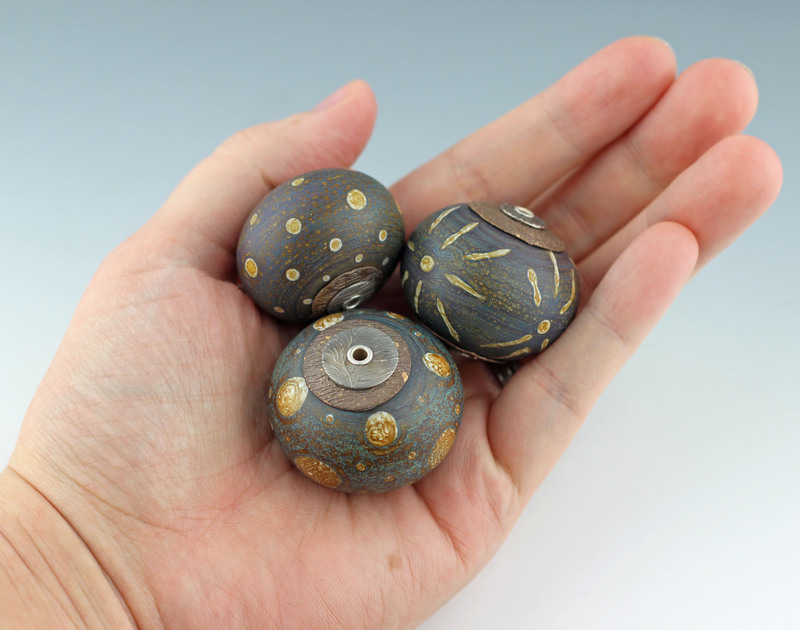 The bead caps and chain in the foreground are from Bills Struve’s new White Copprclay that is due to be released next month. Meant to mimic silver, it reminds me of pewter and will go nicely with many of my beads! 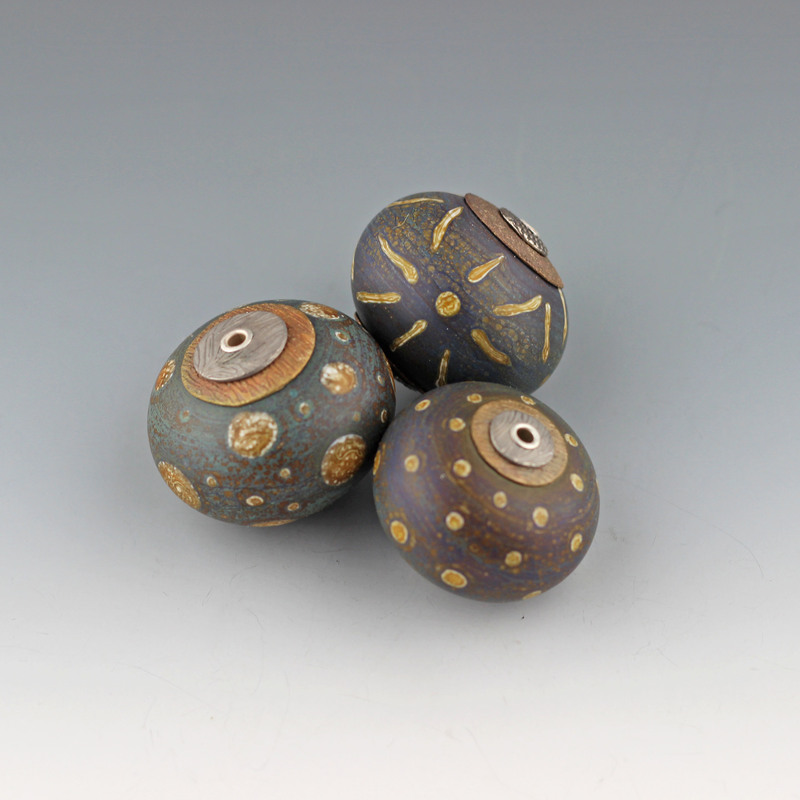 Had no problems firing- he recommends two stage firing if you’re working with thicker/3D pieces. 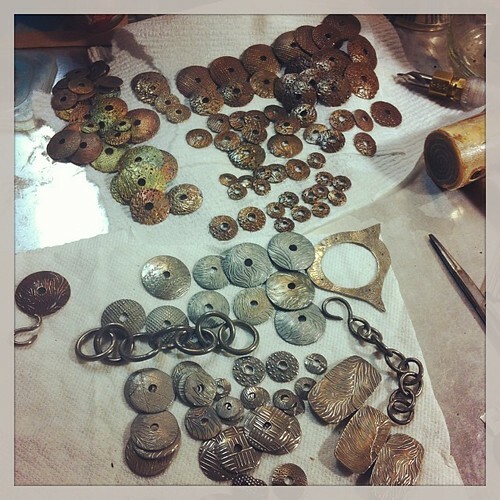 I did an open air firing with the chains and pendants then covered them with carbon to finish sintering. Doesn’t matter which carbon you use- which is nice for me since I’m currently befuddled with which carbon is coconut and which is acid-washed. For the rest of the bead caps, I did a slightly slower ramp and fired for two hours all in one stage. Still worked, was able to dap them with no problems. Looking forward to getting more once it’s out! Will post more capped and cored beads once I get photos- they look great against my Z99 hollows. 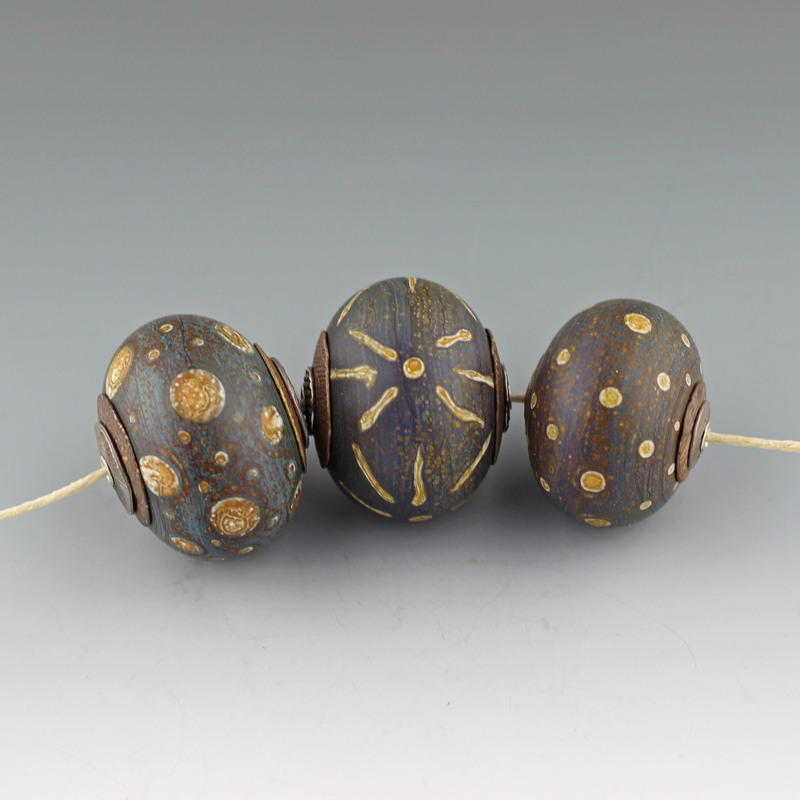 Aja – Loving the colors in this trio of beads! !